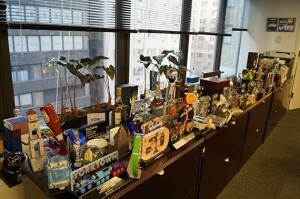 Lining a windowsill in Anthony Orso’s office at Cantor Commercial Real Estate are dozens of statuettes — deal toys, he calls them — one for each of the $8 million to $580 million loans the commercial lender has done to date. “We do this to celebrate our small victories,” said Orso, 51, CEO and co-founder of CCRE, the commercial lending arm of Cantor Fitzgerald. Still, since launching in 2010, CCRE has emerged as a force to reckon with. It was on track to originate $10 billion in loans last year, nearly double the $5.5 billion in loans it originated in 2013, and almost 10 times its volume in 2011, the year of its first deal. Over those four years, as the commercial lending environment rebounded, CCRE went from being a shop focused on commercial mortgage-backed securities to one that offers an array of products. In April, it acquired Maryland-based Berkeley Point Capital and added loan servicing to its offerings. The firm is reportedly weighing an initial public offering as it looks to grow further. 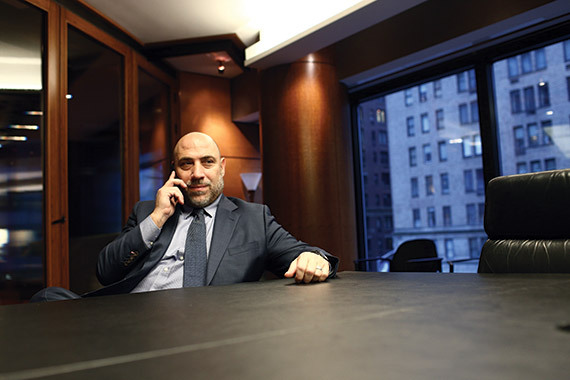 A Staten Island native, Orso was a driving force in Cantor’s acquisition of Berkeley Point and has earned a reputation for being willing to roll up his sleeves and go above and beyond for clients, including the Sapir Organization, which he advised last year as it negotiated a $1.8 billion lease renewal for Credit Suisse at 11 Madison Avenue. While Cantor’s other marquee deals include leading a group that provided a $580 million loan for Las Vegas’ Miracle Mile Shops (Cantor kicked in $290 million), Orso acknowledges that smaller deals ($15 million and under), are the key to its growth. To date, the firm has originated $2 billion in loans under $10 million; its average loan size is $20 million. “A lot of the big guys who don’t have a lot of staff won’t even look at loans under $10, $15, $20 million,” he said. Orso said having “boots on the ground” — a reference to CCRE’s team of 330 employees in 15 cities — makes handling those loans possible. And the unit has been capitalizing on the evolving needs of clients, who often start with a single, small loan, and increasingly come to Cantor seeking larger, more complicated financings. Orso, 51, is at the helm with longtime business partner Michael Lehrman. The duo ended up at Cantor Fitzgerald after a beachside conversation in 2009 with CEO Howard Lutnick, who wanted to add a real estate platform to the investment firm’s operations. By that time, Orso had been immersed in real estate for decades, starting with small jobs on his father’s construction sites. He recalled pushing wheelbarrows on sites as a teenager, making cement manually, and breaking apart construction debris. “I learned this business literally from the ground up,” he said. Attending business school at Columbia University was a turning point. On the first day of orientation, he met Lehrman, and the two became partners and best friends. After B-school, Orso landed a job at Chemical Bank. In 2002, he went to Credit Suisse, where he was co-head of the Credit Suisse Real Estate Direct Group and responsible for over $100 billion in loans. In 2009, Lutnick promised to give Orso and Lehrman the capital and resources to build a real estate finance business, and the pair launched CCRE. 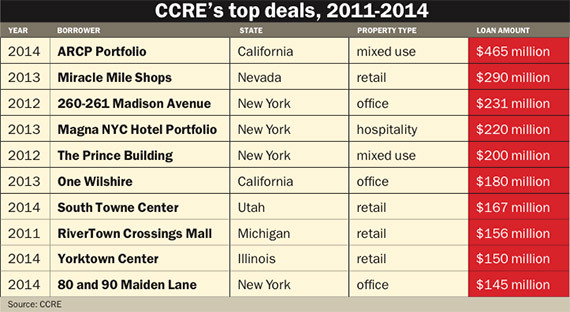 As a CMBS shop, CCRE completed its first deal in 2011, just as the market was starting to stabilize. Meanwhile, Cantor Fitzgerald was moving into commercial brokerage. In 2011, it bought Newmark Knight Frank, and in 2012, Cantor spinoff BGC Partners closed on its purchase of Grubb & Ellis to form Newmark Grubb Knight Frank. The units, while run separately, are symbiotic. Cantor may tap Newmark for property-level information, while Newmark may refer a client who needs financing to CCRE. Either way, CCRE has made a name for itself. “They’ve gone from zero to 60 in the past couple of years in the CMBS business,” said Manus Clancy, senior managing director at Trepp LLC. Among its top deals, CCRE provided Normandy Real Estate Partners with $145 million in financing for twin buildings at 80 and 90 Maiden Lane. CCRE also loaned $231 million to Sapir, for 260 and 261 Madison, in 2012. Outside of New York, CCRE’s loans include a $180 million loan for an office building at One Wilshire in Los Angeles in 2013 and a $156 million loan at RiverTown Crossings Mall in Michigan in 2011. To that end, CCRE doesn’t have an entirely clear path to the finish line. “Although CCRE has posted good profitability to date, it has a limited history and has been operating amidst generally favorable market conditions since its inception,” Moody’s analysts wrote in June. To that end, Cantor’s deal with Berkeley could be game-changing. “The company has broadened its business model with the … acquisition of Berkeley Point, which provides it with an agency platform as well as a recurring servicing fee stream,” according to Moody’s. The acquisition required painstaking salesmanship on Orso’s part. Last year, Cantor hired Michael C. May, the former head of Freddie Mac’s multi-family group, to help identify acquisition targets. He and Orso spent about six months sifting through a list of companies. Berkeley Point always emerged on top. Orso collects a “trophy” for each completed loan by Cantor Commercial Real Estate. Less than a year after the deal closed, the benefits are clear. Ray Potter, whose firm R3 Funding, a lender correspondent that brings together mortgage brokers, borrowers and lenders, did $125 million in loans with CCRE last year, attributes that volume to new product lines that Orso added. For example, in early 2014, one of Potter’s clients in Rochester, New York, obtained a $5.8 million CMBS loan from Cantor. That was followed by a $26.2 million Freddie Mac loan also ushered through by Cantor. “If it was a year ago, [Orso] would not have gotten the [second] deal,” Potter said. “Here, the borrower was like, ‘I know Cantor Fitzgerald.’” He said the same client is shopping for a $7 million loan and is likely to go through CCRE again. “He’s that type of guy who will jump in there and help out, whether to deal with a bureaucratic issue or a client. 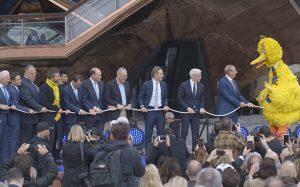 He has a lot of energy and he gets it,” he said. With 330 employees, Cantor Commercial is still a small group, considering that Cantor Fitzgerald and its affiliate BCG employ 8,000 people worldwide. Orso declined to comment on a possible public offering, though industry sources said that going public is a logical way for Cantor to grow. “If you’re building a big company like that with multiple product lines, the public money is generally cheaper than the private money,” Potter said.